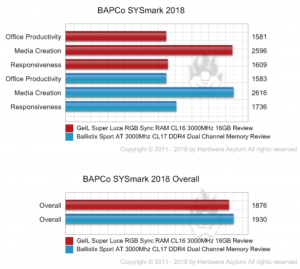 Dennis Garcia at Hardware Asylum reviews the “GeIL Super Luce RGB Sync RAM CL16 3000MHz 16GB” using BAPCo’s ALL NEW SYSmark 2018 PC benchmark. Head on over to Hardware Asylum for the full “GeIL Super Luce RGB Sync RAM CL16 3000MHz 16GB” review here. 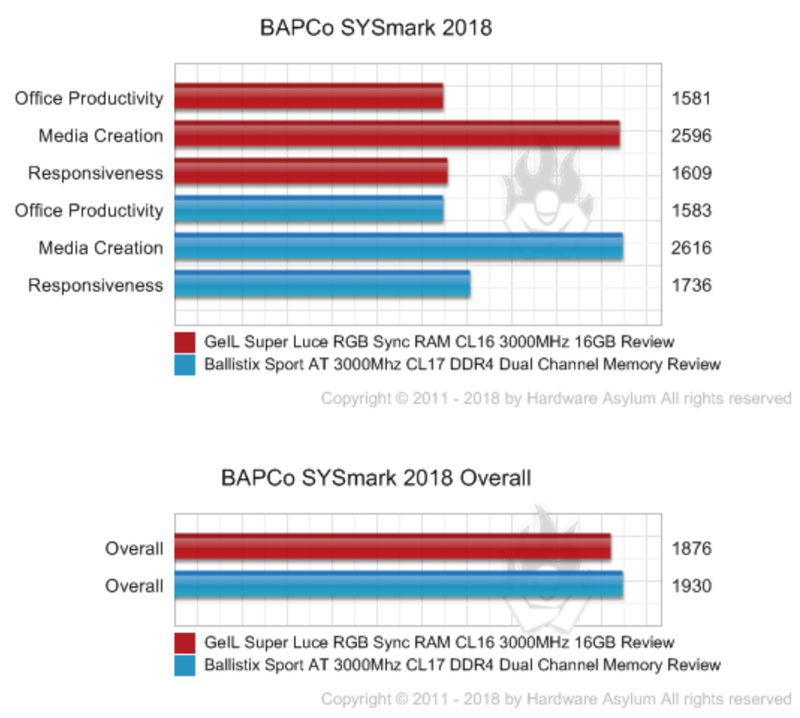 Grab a copy of BAPCo’s NEW SYSmark 2018 PC benchmark up at the BAPCo Store here.